The Seagate Backup Plus Slim 2TB HDD is the most popular and slimmest portable drive with plug and play connectivity. It has both USB 3.0 and USB 2.0 interface. It provides a 2 TB of storage out of which 1.81 TB is usable memory. It supports almost every OS whether it’s of Windows or Mac. It has some additional features like it can protect your data with easy flexible backups, increase transfer speeds easily by upgrading to Thunderbolt technology or FireWire 800. The slim and comfortable HDD measures 11.4 x 7.6 x 1.2 cm and weighs only 141 g. It comes with 3 years of warranty. 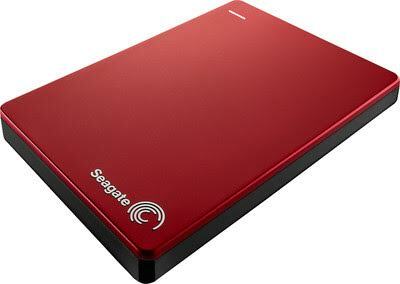 Seagate Backup Plus Slim 2TB HDD is available in Red, Blue, Silver, Black and White colors. 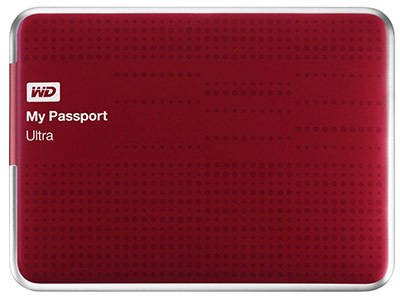 The Western Digital (WD) passport ultra is famous for its looks and security. The 2TB WD passport ultra has both USB 3.0 and USB 2.0 connectivity option. At USB 3.0 it can transfer data up to 5 Gbps. The device comes with the WD SmartWare Pro automatic backup software that helps protect your data and keep it all safe by creating instant backups. Also with the WD Security you can password protect your data and also add hardware encryption for your drive to help keep your data private. It supports both Windows and Mac OS. The ultra- sleek and stylish Portable device measures 20.9 x 110.5 x 82 mm and measures 230g. The WD Passport Ultra 2TB HDD is available in colors like Titanium, Black, Blue and Red. It comes with 3 years of warranty. 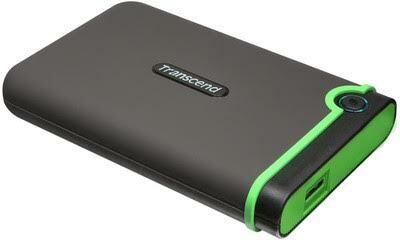 The Transcend Store Jet 25M3 is a 2TB HDD featured with military grade shock resistance i.e. it’s a shock proof hard disk. It supports both Windows OS and Mac OS. It has RPM of 5400 and can transfer data via USB 3.0 up to 5 GB/s and via USB 2.0 up to 480 MB/s. Another great benefit of this HDD is it has one-touch data backup. It measures 129.5 x 82.4 x 20.4 mm and weighs 216 g. The Transcend Store Jet 25M3 2TB HDD comes with 3 years of warranty. 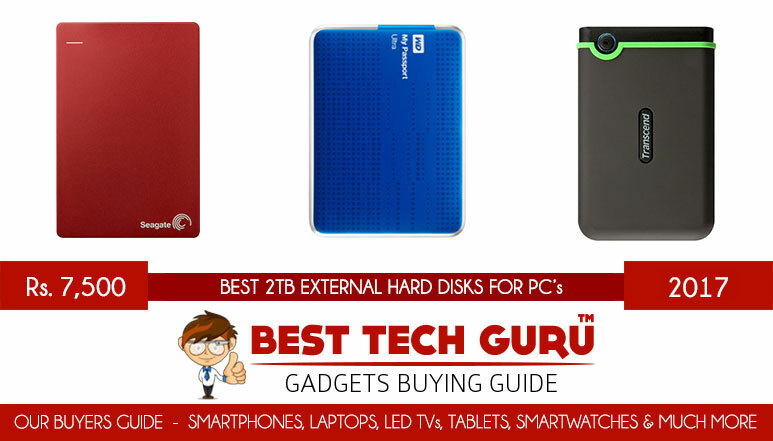 Please like and share this list of 3 Best 2TB External Hard Disks under 7500 Rs. with your friends and help them in choosing the best 2TB Hard Disk and like always, feel free to ask your questions. A prompt reply awaits you.